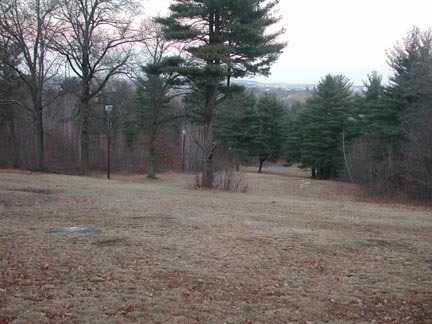 Mark Lynch: the City of Worcester had two rope tow areas they operated in the 60's. 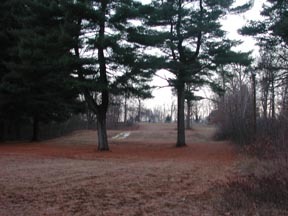 One was located at Green Hill Park within the Golf Course and the other was located at Hadwen Park. The Hadwen location was quite steep. If memory serves me well I believe there were lights at this location. Both locations were free and quite crowded. Today they are used primarily for sledding. Chris Kulesza: There was once a pony lift at Hadwen Park. It was pretty long for a pony lift. I would have to guess about 500 feet or so. It use to have lights for night skiing. I remember it only operated on Weekends and believe it was free of charge. 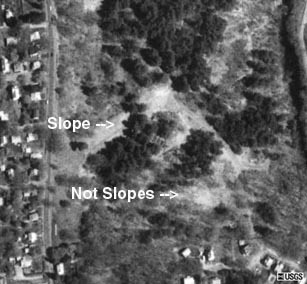 The slope would rank as a low intermediate trail. It is used for sledding in the winter now. The lift is gone, so is the shack at the base (it was burned by some kids). The lights I believe are still up, but are not used anymore. I never skied there, but remembered the lift. I was hoping one day to use it. It functioned up until the late 80's. When it first was used is unknown. It is located on Heard St in Worcester. 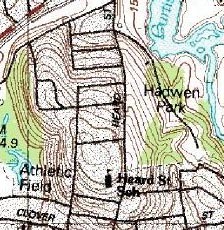 A Terraserver view of the former slopes at Hadwen Park. 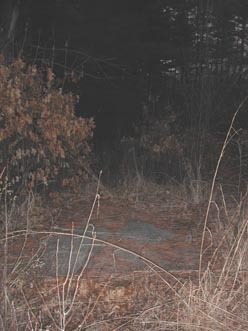 I visited the area in February, 2002 while visiting my friend Kevin who lives in the area. Here's the slope - notice the lights are still standing on the left side of the slope. The lift has been removed. Looking up the slope from the bottom. The pony lift was on the right hand side.